The sixty years between 1773 and 1833 determined British paramountcy in India. Those years were formative too for British Eurasians. By the 1820s Eurasians were an identifiable and vocal community of significant numbers particularly in the main Presidency towns. They were valuable to the administration of government although barred in the main from higher office. 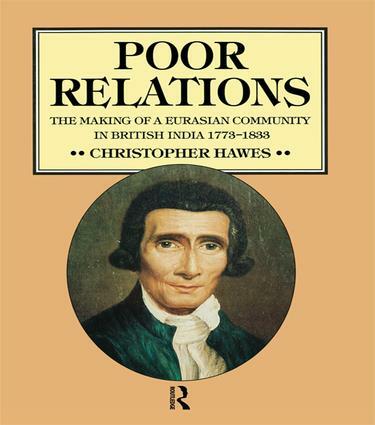 The ambition of their educated elite was to be accepted as British subjects, not to be treated as native Indians, an ambition which was finally rejected in the 1830s.